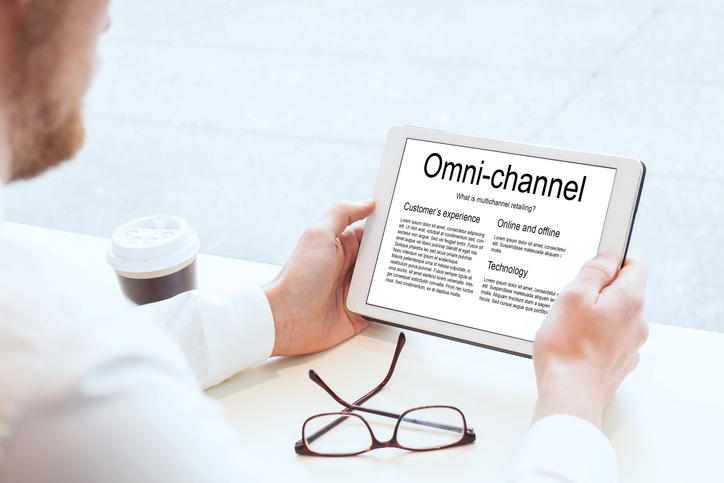 Cross-channel marketing, also known as omni-channel marketing, means taking all the channels you use to communicate with your customers and creating a seamless, integrated, marketing experience. Leveraging a multi-channel strategy helps you to get a better value and thus a better return on your investment of time and money. Rather than give you yet another piece about how a singular marketing channel works in isolation, let’s talk about a few ways that they work together and how an omni-channel marketing approach to marketing can yield better results. Keyword research is the starting point for everything in digital marketing and creating a website architecture without first knowing what keywords you want to cover has definite disadvantages. To start, Google and the other search engines pay very close attention to the various pages, content and concepts covered throughout your site. No surprise there! But realize that this content and these concepts have everything to do with how a search engine will perceive your relevance to the terms you want to rank for. Thus, they are major search engine ranking factors. The way in which you organize site content – aka, the “information architecture” – and the thoroughness and comprehensiveness of how you cover those topics is being scrutinized very closely by search engines. A lack of an intuitive and logical site structure is not only a missed opportunity but also a signal to search engines that you might not know the best way to organize your thoughts around a concept. Taking that a step further, the thoroughness and comprehensiveness with which you cover website subject matter demonstrates to search engines your understanding of concepts and how they relate to one another. You may feel that you are a subject matter expert in your space, but does your site prove that? In short, the more your website thoroughly and completely covers your core area of expertise, the more you’ll tend to win with search engines. This is often referred to as optimizing for topics, not keywords, or topic modeling. Note that while having a sound keyword strategy is critical to building web architecture, one’s effort to comingle SEO and architecture should never be at the expense of a visitor’s user experience (or “UX”). Google and the search engines are also looking at how easy site visitors can navigate your site and how regularly their intent is solved with your content. There’s more to this than good information architecture. A clean, seamless design with an effective use of space and an understanding of our visitor’s intent will convert more traffic and make for a better overall experience (always a good thing). All things considered, the best design approach is a balanced one; one which marries your core keywords and concepts with a clean and seamless UX. Immediately we see how intertwined design, SEO and content can be. Yet paid media or – more specifically the data and findings from a paid media campaigns – can be extremely valuable during the design process as well. Split-testing is the process by which one variation of your website or landing page is shown to one segment of your audience, and then a different variation to another. Through analytics, marketers can measure which versions of their designs perform best, thereby using data to make more informed decisions about design. There is no shortage of split-testing tools available to choose from, though options vary greatly depending on your available budget. We recommend: Optimizely, Kissmetrics, and Unbounce. If you’re in a pinch, you can use Google Content Experiments, which is included for free as part of Google Analytics. You’re allowed to test up to 10 page versions with different URLs, and you’re able to set and test different objectives. If keywords you picked didn’t perform as well as you expected, use another short-term PPC campaign to test others. Social Media for Awareness. Advertising for Conversions. Social media platforms like Facebook and Twitter are excellent for spreading top funnel awareness of your brand and mid-funnel awareness of your content – but they’re not nearly as great at converting sales. Don’t get me wrong, demographic targeting techniques through social advertising are amazing; as they allow marketers to target based on almost any demographic attribute. The problem is that when people are on social media, they’re generally looking to be entertained and are less interested in making purchases – or at least purchases of any significant dollar value. Therefore, purveyors of products with anything more than a really short sales cycle and a relatively low price point are generally better served limiting the majority of their social efforts to building brand and marketing content. You want to hook people in social with content that is amusing, helpful or just stimulates interest. But avoid trying to go right for the jugular, and instead err on the side of nurturing leads through the remarketing tactics that we’ll discuss in a bit. The opposite of this scenario is generally true for digital paid advertising, especially paid search advertising. One of the most amazing things about the invention of search engine ads is that they allow marketers to buy ad space and put their message directly in front of someone who has explicitly told them what they are looking for! Think about that. No other form of paid advertising lends itself to intent-based targeting like search advertising. From TV and Radio to Social Media and Native Ads – while they’re great for behavioral and demographic targeting - none of these methodologies allow you to deduce a person’s intent like search and to then serve them an ad to solve their problems in real-time. On a search engine, prospective customers explicitly say, “Philadelphia plumber for leaky faucet” or “Italian restaurant near me”. The result however, is that PPC advertising on these transactional keyword queries can be very expensive. As a result, you best bet is to save that search ad budget for your most important keyword queries and leave the content promotion to social media. While content is indeed the key to garnering new prospects through search engines and social media, one piece of content rarely does the trick. Thus, marketers aim to not only capture lead info but to warm those leads through multiple touch points and a commitment to providing value. This is what marketers call lead nurturing, and it really requires ongoing content, a list to market and ideally a CRM for tracking and analytics. Essentially, you have three options for reengaging past site website visitors: email follow up, social media nurturing and retargetting ads. Note that of the three, only retargetting ads can be shown to people whose information you haven’t previously collected and/or who’s social account you’re not already connected. And so, it’s generally prudent for businesses without an established following or list to rely more heavily on retargetting ads to stay in front of people as they look to build their list. As previously mentioned, any product or service with a significant price tag or longer sales cycle will need to address an elongated buyer’s journey. Thus, this blend approach of content plus email plus social plus advertising has become the new standard, andconsequently, so has an integrated multi-channel approach. When it comes to digital marketing, it can be quite difficult to pull new prospects into your funnel without good social media execution or solid keyword rankings. Yet, simply introducing prospects to your brand through those channels is rarely enough to get sales. We need to embrace other marketing channels such as email, digital advertising and optimal web design strategy to close them. Meanwhile, the best site builds stem from keyword research. And your email marketing is only as effective as the size of your list - which means you need to build one. Thus, thinking of marketing channels as independently operating lead generation silos is a myopic, inefficient way to approach the process. It also leaves money on the table while costing you more long-term. And while I encourage all small businesses to do something rather than get overwhelmed trying to do everything, bringing a big picture perspective to your marketing endeavors will always pay off long-term. 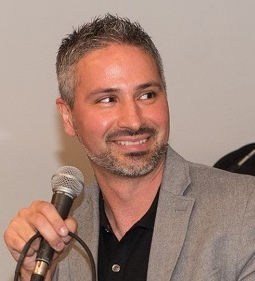 John is the owner/founder of The Agency Guy, Inc (TAG). Throughout his career, John has strategized with clients as large as Fortune 500 companies to as small as local startups. When he's not consulting on marketing strategy or teaching for SCORE, John teaches SEO and Content Marketing at the University of San Diego.